Take off on American Gothic. 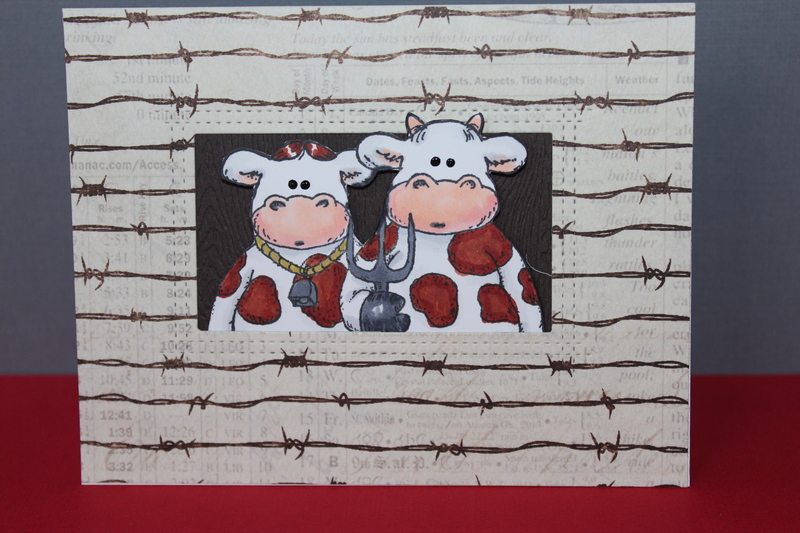 I got this crazy cow stamp from High Hopes Rubber stamps because it made me laugh out loud. 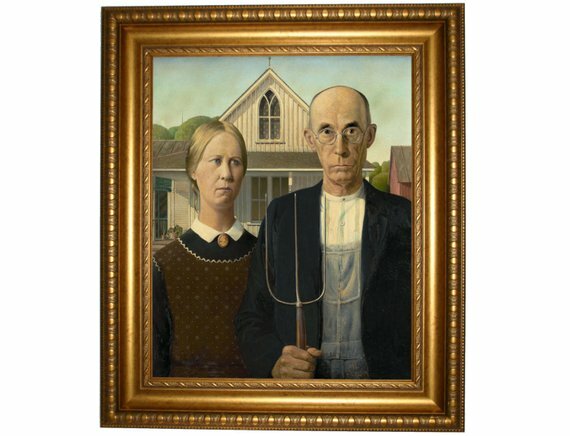 It is a take-off on a famous American painting called American Gothic. This stamp is called American Cowthic. Go Figure. 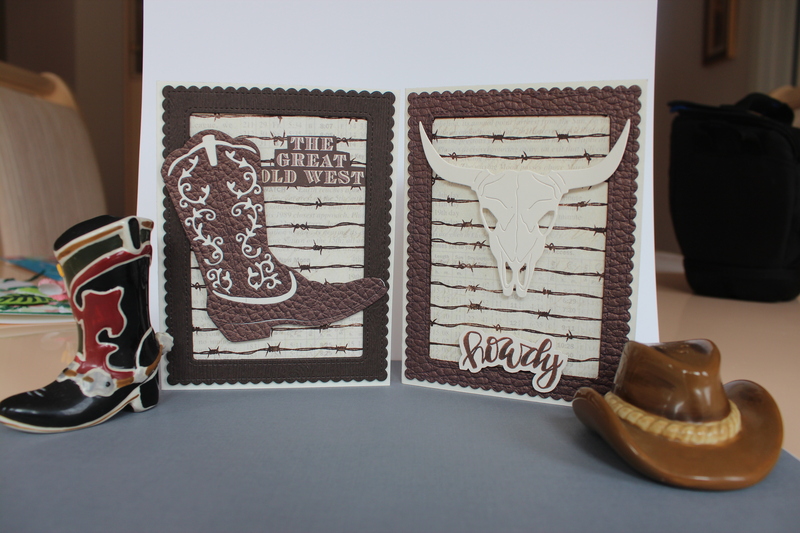 I have had this stamp set for a while now, but I realised it would look great with my Barbed Wire paper from Authentique, so I made this card. I laughed again as I posted it. I feel like I have already gotten my money’s worth out of this cute stamp. 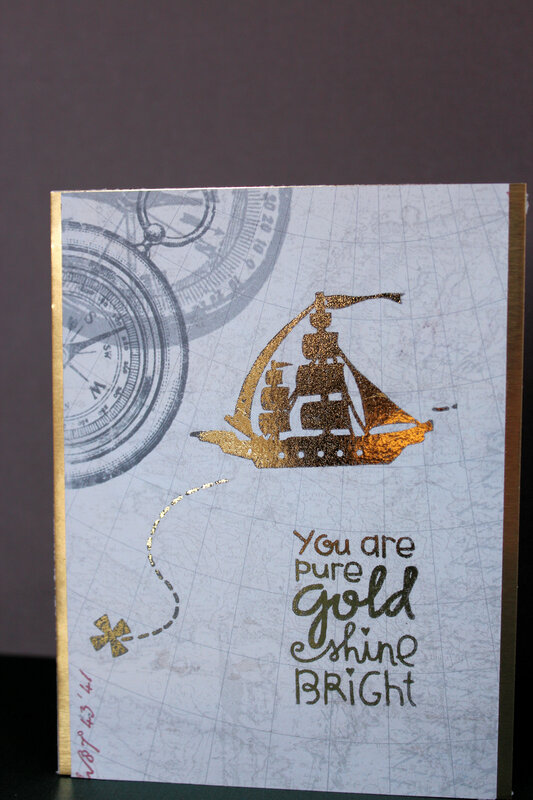 The challenge at Paper Smooches this month is to use gold. I had started to make something for this challenge quite some time ago but didn’t like something about all my attempts. I wanted to use gold foil and I find that if you use foil, then everything else on the card must be pretty simple or things seem to clash. After several too busy or clashy attempts, this one seemed to work.